Another way to help manage your cat’s weight with food is by choosing the best formula. There are many ways pet parents can help their cats get to healthy weights. The first step is to feed a formula that matches your cat’s lifestyle. 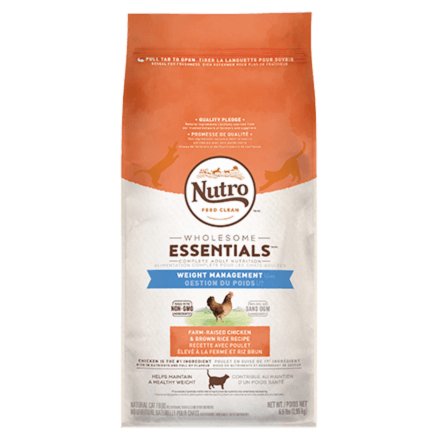 Indoor cats should be fed a cat food tailored specifically to them, such as NUTRO™ Indoor Formulas . They have a caloric content and feeding guidelines tailored to maintaining a healthy body weight with indoor cats. For cats that are already overweight, a weight loss food, such as NUTRO™ WEIGHT LOSS Adult Cat Chicken & Whole Brown Rice Formula , can help your cat achieve a healthy weight. Work with your vet to determine a weight loss plan for your cat, and follow the feeding guides on your cat food packages for weight reduction until the desired weight is met. 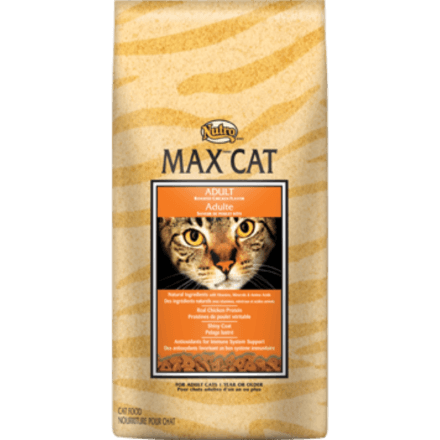 When your cat has reached the ideal weight, feed the appropriate formula and amount for optimal weight management.